When a loved one passes away, it is a very painful time for family members and friends; however, it can be even more difficult if a loved one passes away while away from home. At Caribe Funeral Home, we provide national funeral shipping from any city in Maryland to New York or from New York to any place in Maryland. Our funeral directors want to make the grieving process as painless as possible for you and your family members by providing a way for your loved one to return home to his or her final resting place. At Caribe Funeral Home, we are the leaders in Mortuary shipping in Maryland. With office locations in Brooklyn New York We can transport human remains within couple hours to any place in Maryland or we can come and pick up any town in Maryland and bring anywhere in New York state, our funeral directors can quickly make arrangements for your loved one to get home to you. Fill free to contact Caribe funeral home for more information about our funeral shipping services to Maryland and shipping services from Maryland, call us today at 718-444-1212. Maryland is a Mid-Atlantic state that’s defined by its abundant waterways and coastlines on the Chesapeake Bay and Atlantic Ocean. Its largest city, Baltimore, has a long history as a major seaport. Fort McHenry, birthplace of the U.S. national anthem, sits at the mouth of Baltimore’s Inner Harbor, home to the National Aquarium and Maryland Science Center. Capital of Maryland is Annapolis. 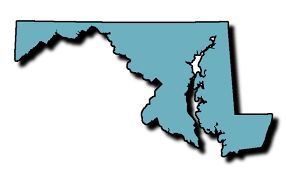 Maryland has been historically prominent to American Catholic tradition because the English colony of Maryland was intended by George Calvert as a haven for English Catholics. Baltimore was the seat of the first Catholic bishop in the U.S. (1789), and Emmitsburg was the home and burial place of the first American-born citizen to be canonized, St. Elizabeth Ann Seton. Georgetown University, the first Catholic University, was founded in 1789 in what was then part of Maryland.